Delivery Force, one of the fastest growing delivery company in Saskatchewan, Manitoba & Northern Ontario, is dedicated to providing a comprehensive range of transportation solutions to meet the requirements of a rapidly evolving customer base. We are driven to maintain our leadership role through time-tested services, technology and processes. We are ready to provide a solution to all of your distribution needs, this is the reason that has made us one of the best Transportation company in Saskatchewan, Manitoba & Northern Ontario. While our scope of delivery services may have grown over the years, and now we are providing premium courier services like same day, hot shot delivery, overnight delivery, door to door in Saskatchewan, Manitoba & Northern Ontario. Our business is built around protecting the most sensitive freight in the most extreme environments. We have maintained a solid reputation among all courier & delivery companies in Saskatchewan, Manitoba & Northern Ontario, we handle your refrigerated LTL and Truck load shipments from Saskatoon, Regina, Prince Albert, Melfort, Yorkton, Swift Current, North battlefords, Winnipeg, Brandon, Dauphin, Flin Flon, The Pas, Thompson, Kenora, Dryden & Thunder bay and beyond on a daily basis. Our entrepreneurial culture and values enable us to expand reliable services while keeping our commitments to public safety, social responsibility and financial stability. 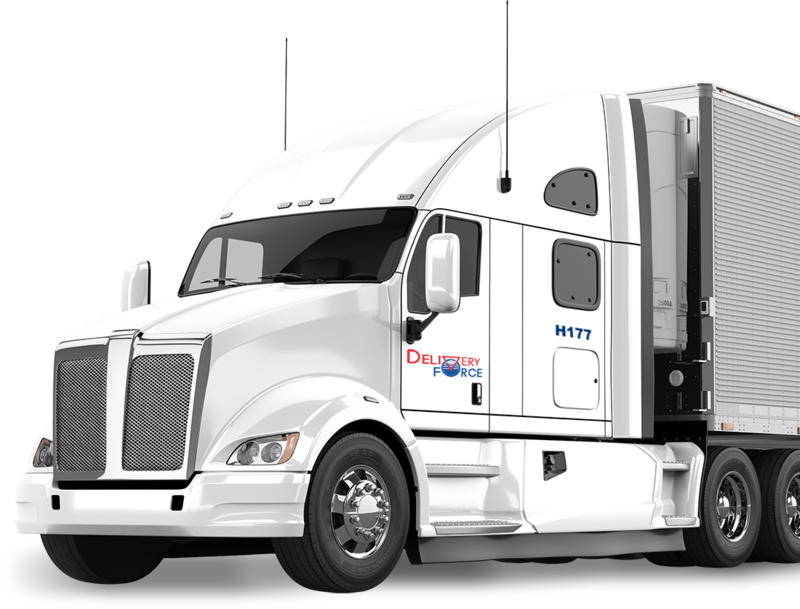 DeliveryForce is focused on providing high quality transportation and Delivery services includes refrigerated LTL and Truck load in Saskatchewan, Manitoba & Northern Ontario including its major regions Saskatoon, Regina, Prince Albert, Melfort, Yorkton, Swift Current, North battlefords, Winnipeg, Brandon, Dauphin, Flin Flon, The Pas, Thompson, Kenora, Dryden & Thunder bay a growing list of satisfied, prestigious customers. Experience, integrity and a solid track record have earned DeliveryForce a reputation as one of the leading trucking companies in Saskatchewan, Manitoba & Northern Ontario. Being one of the best delivery and courier company in Saskatchewan, Manitoba & Northern Ontario, DeliveryForce brings together industry experience, state of the art equipment and technology, and good people with a vision to be the best, to serve the truckload transportation needs of the top shippers in Canada. Our Parcel delivery in Saskatchewan, Manitoba & Northern Ontario improve the daily lives of people by moving goods and supplies to where they are needed, to the super-market shelves, to the manufacturing production lines, to the home-improvement stores in our communities. One of the key drivers of DeliveryForce best-in-class less than truckload and truckload services is having one of the most extensive transportation networks reaching over all Saskatchewan terminal. We value our professional truck drivers and their safety. Our emphasis is on providing opportunities for drivers to take charge of their lives. We hire qualified individuals with no previous driving experience, as well as experienced drivers, and graduates from other truck driving schools. At DeliveryForce, customer service is our priority. We understand the importance of identifying and responding to each customer’s unique needs. Our objective is providing the best Courier delivery services in Saskatchewan, Manitoba & Northern Ontario’s major cities Saskatoon, Regina, Prince Albert, Melfort, Yorkton, Swift Current, North battlefords, Winnipeg, Brandon, Dauphin, Flin Flon, The Pas, Thompson, Kenora, Dryden & Thunder bay and all the town within these two provinces. We believe building relationships through unequalled service and performance with a highly ambitious and skilled delivery, trucking and transportation team to represent us, and in turn, best represent you, as our customer. We are continually seeking experienced, career-minded professionals who are committed to providing high level service to our customers, drivers and independent contractors.